Adulthood and old age involve huge biomechanical changes in the human body due to natural biological deterioration that takes place slowly and progressively during lifetime. In this context, the quality of life is directly related to how prepared we are to live longer because a price should be paid for it. Nevertheless, the speed of this process could vary from person to person, according to their genetics, nutrition, social behavior (sedentarism, smoking, alcoholism), and comorbidities such as diabetes, cardiovascular disease, as well as psychological impairment, reflecting on the person’s behavior. This chapter aims to discuss the effects of ageing, physical performance, sarcopenia, the senescence of the metabolic axis, osteoporosis, osteoarthritis, as well as the importance of sports practice and regular physical activity in the adults and old age population. 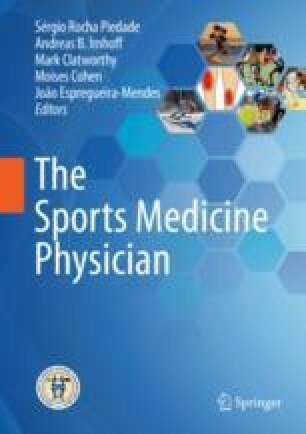 Moreover, the chapter will discuss the best strategy to design a customized plan for sports practice and/or physical activity according to the individual needs of this age group. Fransen M, McConnell S, Harmer AR, Van der Esch M, Simic M, Bennell KL. Exercise for osteoarthritis of the knee. Cochrane Database Syst Rev. 2015;1:CD004376. https://doi.org/10.1002/14651858.CD004376.pub3. Fransen M, McConnell S, Hernandez-Molina G, Reichenbach S. Exercise for osteoarthritis of the hip. Cochrane Database Syst Rev. 2014;(4):CD007912. https://doi.org/10.1002/14651858.CD007912.pub2. Østerås N, Kjeken I, Smedslund G, Moe RH, Slatkowsky-Christensen B, Uhlig T, Hagen KB. Exercise for hand osteoarthritis. Cochrane Database Syst Rev. 2017;1:CD010388. https://doi.org/10.1002/14651858.CD010388.pub2. NHS Guidelines for older adults aged 65 and over. https://www.nhs.uk/live-well/exercise/physical-activity-guidelines-older-adults/#guidelines-for-older-adults-aged-65-and-over.